Assoc. Prof. Dr. & Dr. Honoris Causa Sabahudin Hadžialić on On July 1 will be a keynote speaker on a major cultural event to take place in Bar, Montenegro. 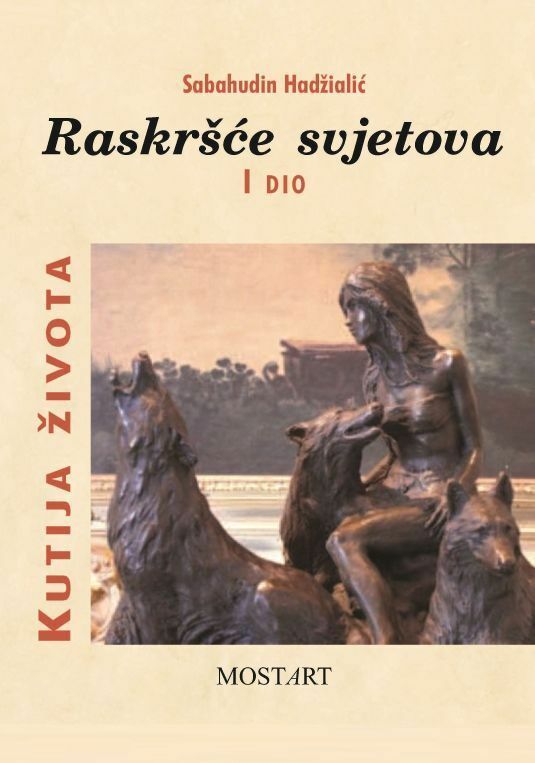 Hadžialić’s book entitled Kutija Života – Raskršće Svjetova, will be promoted in this prestigious cultural gathering of world renowned writers and scholars. Hadžialić’s book is an ever relevant literary work that will be promoted in such a special occasion at this Balkan country; that is uniquely located at the borders of the author’s homeland, Bosnia and Herzegovina. Sabahudin Hadžialić was born in Mostar, Bosnia and Herzegovina (in former Socialist Federal Republic of Yugoslavia) in 1960. He was raised and educated in Sarajevo, where he still resides while recognized with the Status of Distinguished Artist (Canton Sarajevo) and is an a University Professor on a number of Universities in BiH (Travnik), Italy (Rome) and Lithuania (Vilnius), his academic titles are: Assoc. Prof. Dr. and Dr. Honoris Causa. Hadžialić continues to teach courses on Journalism and Mass – Media Studies at a University in Poland (Torun) where he is co-chair of a doctoral study. “Kutija Života – Raskršće Svjetova,” by Sabahudin Hadžialić. “An instructive and exciting romance story, titled with the Syntagma “Crossroads of the Worlds”, begins with an authentic author’s entry from the route to Herzegovina in the Međugorje-Čitluk ambience, where his father and mother were met in 1958; Ahmet from city of Foča and Magbula from Mostar. Their life paths were splashing into one to another and from there, upstream of Neretva, they came to Sarajevo where they were made a nest and remained to this day. Here, in the view up to the spring of the river of Bosna, a writer of this mysterious story was born, whose sequels will be followed in new books, followed by the “Crossroads of the Worlds”. Details about the novel “Crossroads of Worlds – I part – The box of life” and promotion in Montenegro, has been published by Serbian publisher MostArt from Zemnu&Belgrade, Serbia in 2013 and promoted in Bosnia and Herzegovina (Sarajevo – twice and once in Bugojno), Slovenia (Ljubljana) and Serbia (Belgrade) and now it comes to Montenegro on 1.7.2018 where, at Knjaževa garden, within 31. Festival BARSKI LJETOPIS in the city of Bar, will be held promotion of the novel – conversation with Sabahudin Hadžialić will lead Dr. Sci. Gordana Leković. Sabahudin Hadžialić has published 24 books (poetry and prose – aphorisms, tales/stories, drama, novel, poetry as well as essays on journalism and textbooks). His literary reflections have been translated into 25 languages ​​and are represented in anthologies of poetry and prose throughout all meridians with premiere publication of books in France, Switzerland, Italy, the United States of America, Bosnia and Herzegovina and Serbia. His textbooks for Universities are present in Syllabuses within curricula in Lithuania and Bosnia and Herzegovina. He is a member of the top literary associations in Bosnia and Herzegovina (2), Serbia and Montenegro, with regular participation in the literature festivals. He was a member of selection board and leader of the famous Sarajevo Poetic Marathon (24 hours of poetry reading at the Mak Dizdar House) from 2011-2013; and a juror of “Sarajevo Winter” Festival 2013. He is a member of the Editorial Board and think-tank “Eurasia Review” (USA) since 2014; as well as Editor in Chief and co-owner of DIOGEN pro culture, magazine for arts, culture, science and education (USA, est. 2009). He was co-owner of the first private newspapers in the Socialist Republic of Bosnia and Herzegovina (POTEZ – THE MOVE, 1990), and publishes scientific papers in journals around the world with a membership on Scientific Committees and Editorial Boards of Magazines and Conferences in India, Poland, Lithuania and Bosnia and Herzegovina.